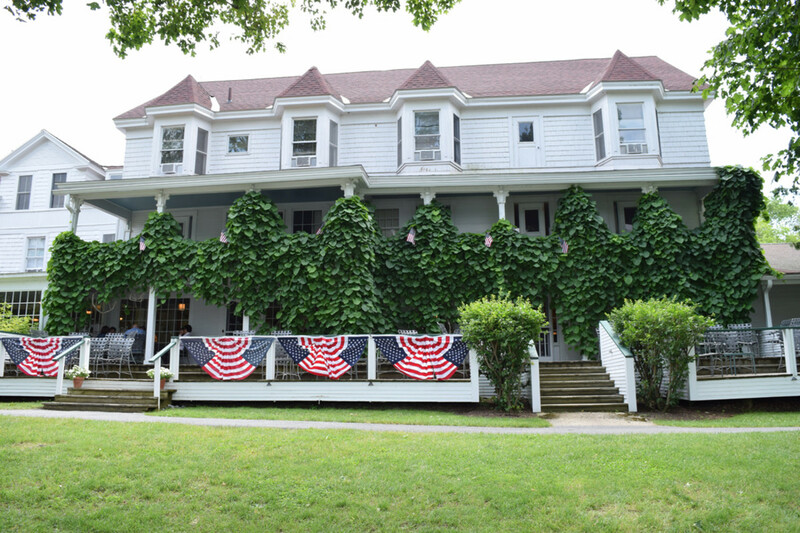 Whether you're looking for relaxation or adventure on your next family vacation, Basin Harbor has you covered. We just got back from what might go down as the most relaxing family vacation in the history of the universe. Often times the words “family travel” and “relaxing” seem like a laughable combination. I mean, how exactly does one relax while simultaneously keeping one’s kids safe in a new and different and totally exciting environment? 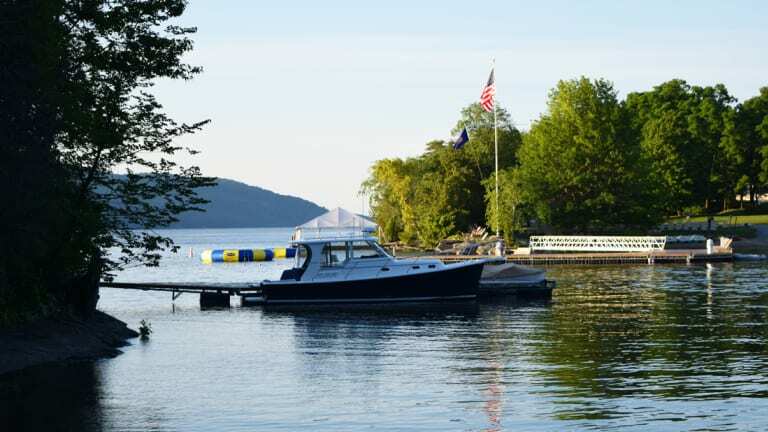 Basin Harbor in beautiful Vergennes, Vermont has figured out how to infuse a family getaway with both adventure and total serenity. 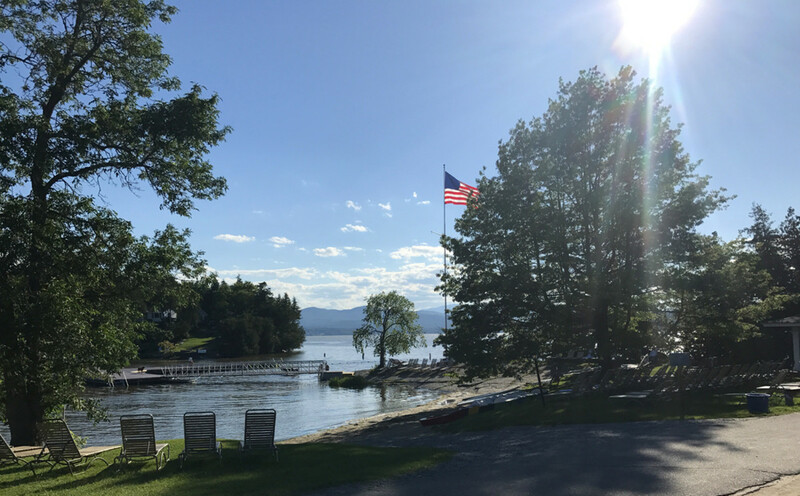 The historic 131-year old resort sits right on Lake Champlain and is open from May through October. With a winning combination of adventurous activities and low-key, unplugged fun, this is the perfect spot for a family getaway. The resort includes 77 cottages as well as 47 guest rooms. 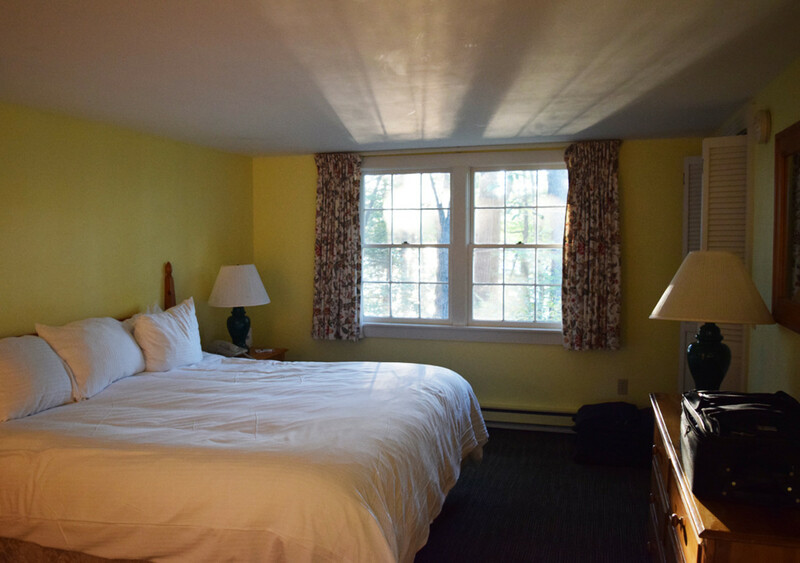 We stayed in a two-bedroom cottage (privacy on a family vacation? What?!) with a lake view. I’m pretty sure all of the girls in our family squealed as we pulled up to it. Each bedroom had its own bathroom (which made the girls ecstatic and post-lake showering a much quicker ordeal) and king-sized bed as well as an air conditioner unit. The living room had a mini fridge, coffeemaker and fireplace, which we totally used even though it was warm. 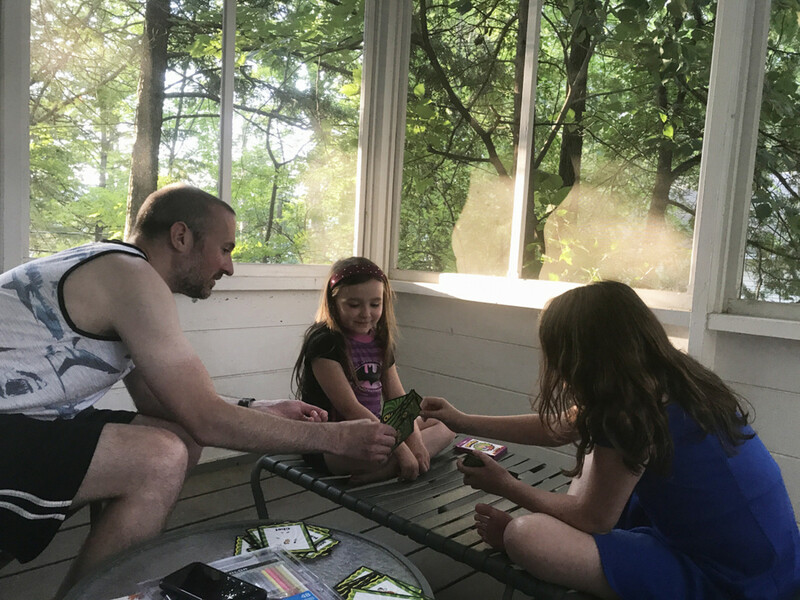 We also had a screened-in porch right off the living room that was dreamy—perfect for card games, reading lazily (I tore through The Couple Next Door on this trip), and enjoying a cup of coffee and the morning breeze. If you’re looking for a TV (or even decent Wifi), this is not where you’ll find it. Basin Harbor strikes a perfect balance when it comes to food. Ardelia’s is a bright and airy dining room with gorgeous lake views. It serves three-course dinners and requires dressy, casual attire (i.e. collared shirts and no jeans), but many of the families that have been coming for years and years go all out and dress their best with coats and ties. 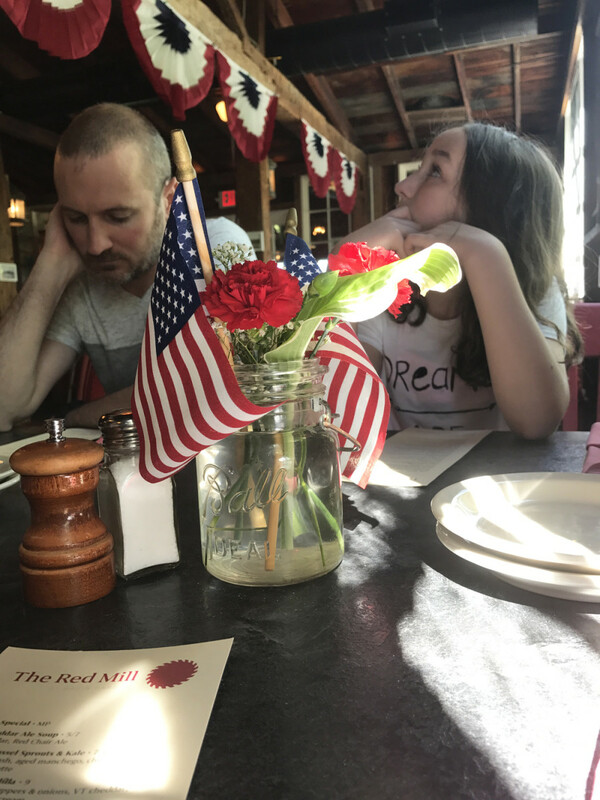 Since we were eating with kids (and really picky ones at that), we decided to keep it casual and enjoyed both a late lunch and dinner at The Red Mill Restaurant, which is a renovated 1940&apos;s sawmill. 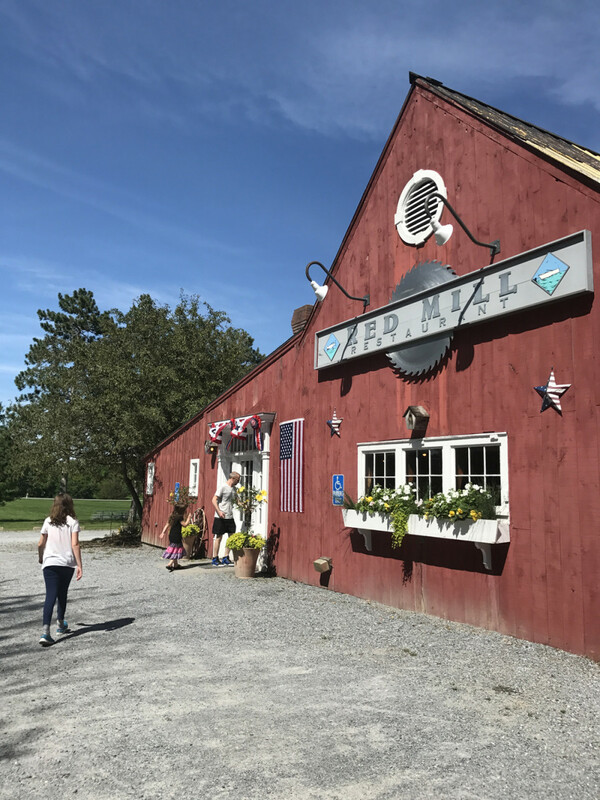 Decorated with Basin Harbor nostalgia, antique farm equipment, and hanging planes, it was fun to look around at all of the cool décor as we waited for our food. There&apos;s also a playground out back, which serves as a great way to keep kids busy while waiting (or as something to bribe them with for good behavior!). And the food! It was so good. The girls stuck to basic chicken poppers and grilled cheese (which passed their stringent taste tests with flying colors). I had the BH Club for lunch (smoked turkey, local bacon, lettuce, tomato and basil aioli) and the Baby Vegetable Risotto for dinner. The thought of either one is making my mouth water right now. We also tried the roasted cauliflower (yum!) and I tried my husband’s roasted chicken breast with gnocchi (also delicious). The food was really, really good. Breakfast is buffet-style in the main dining room and it won’t disappoint either. There is a wide variety of options: from the omelet station to waffles and French toast, oatmeal, a variety of yogurt and fresh fruit, bagels, different breads and pastries. They even have kid-friendly cereal boxes. No matter what your breakfast style is, you’re sure to find something that you’ll enjoy. Also worth noting is the staff. They are phenomenal. When even your kids remark about how nice the people are, you know the service is amazing. This held true for the entire resort. Anywhere we turned, staff waved politely and struck up conversations with us or the kids. It was refreshing to be in a place where everyone seemed genuinely happy to be there. Sprawling across 700 acres, Basin Harbor has a lot to offer in terms of activities. My kids would have been thrilled with just the outdoor pool—which was heated to a heavenly 82 degrees—but the options were seemingly endless. 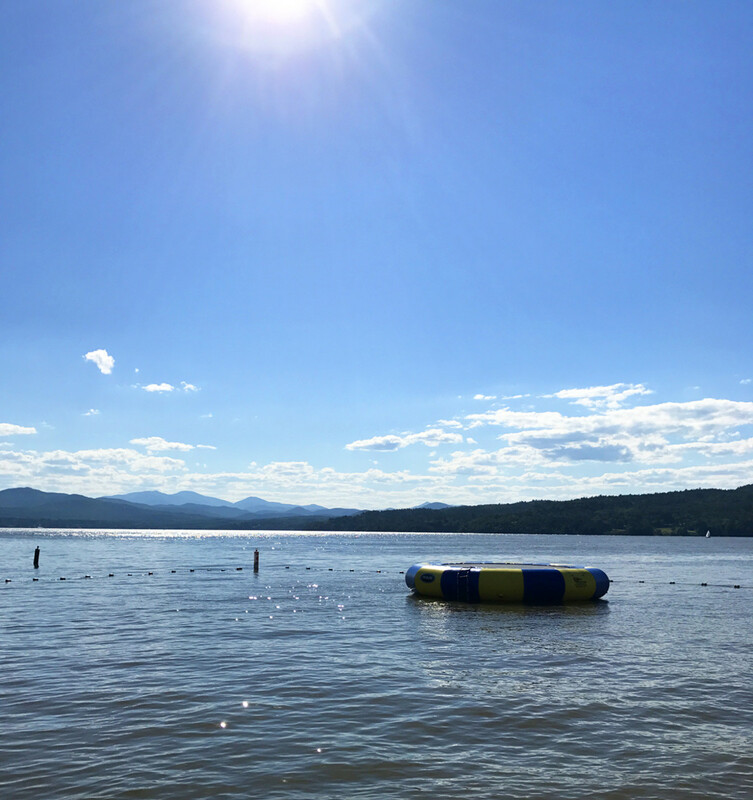 Down at the Boat Club and swim dock, you can swim in Lake Champlain and bounce on giant trampolines right on the water. 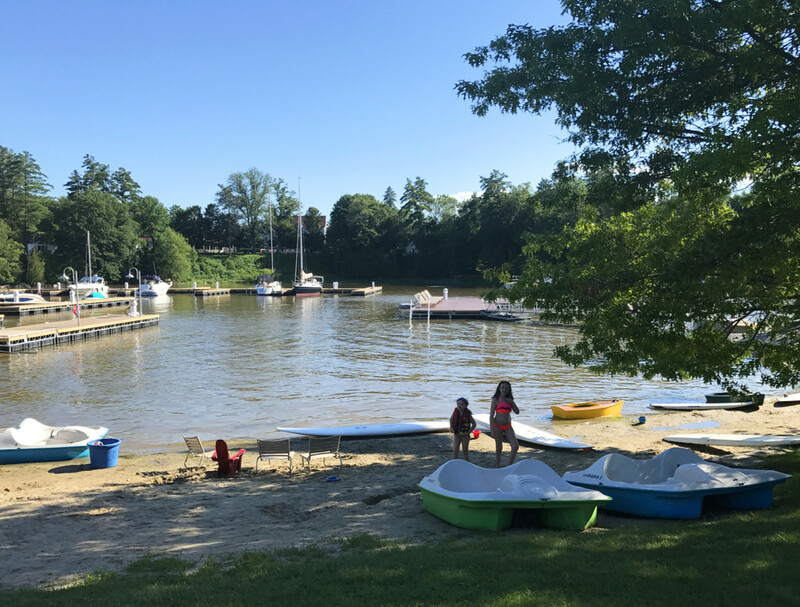 There are also a variety of boats (from paddle boats and paddle boards to small kids boats) that you can use for no charge. 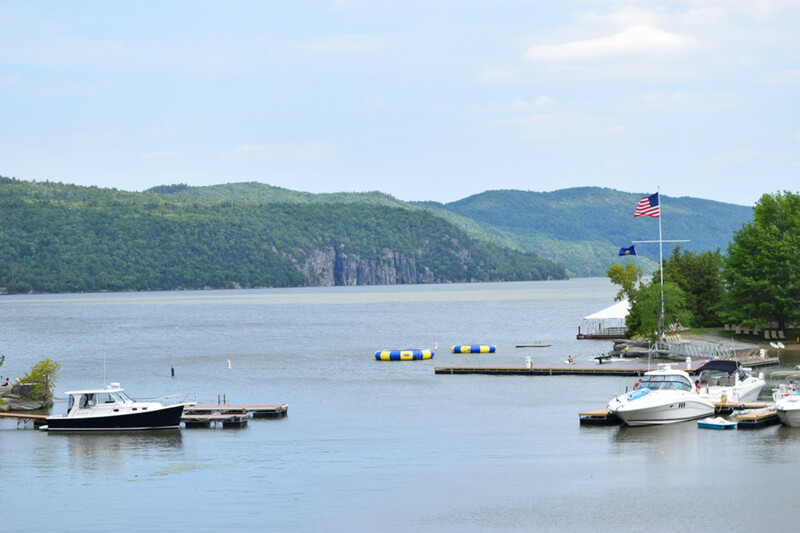 For a fee you can also enjoy kayaking, water skiing and tubing. You can even go on a cruise and get close-up views of shipwrecks on the bottom of Lake Champlain! And don’t be afraid to bring your four-legged family members to this resort. It’s incredibly animal friendly and even has a doggie beach with their own swimming area. 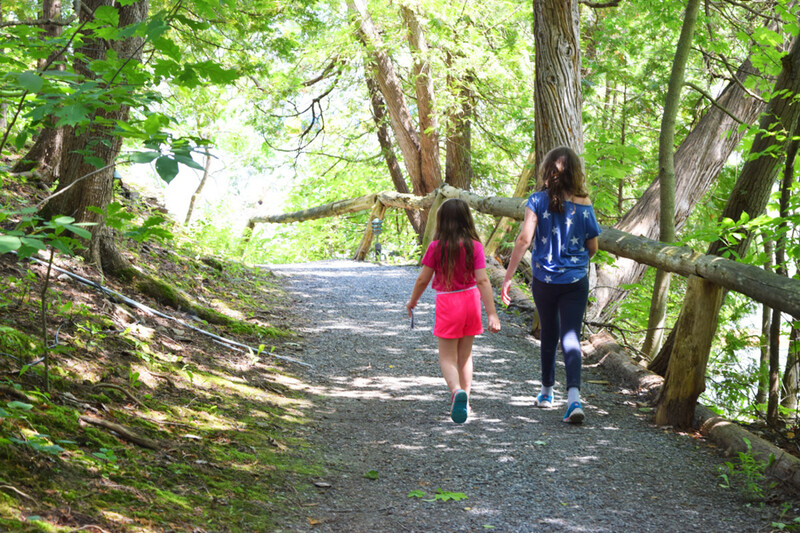 If you feel like sticking to dry land, there are hiking trails, a dedicated mountain bike trail, tennis, bird-watching, a gaga ball pit, golf, pool parties, narrated lake cruises, art classes, wellness classes, property tours, history talks, dogs walks, and so much more. 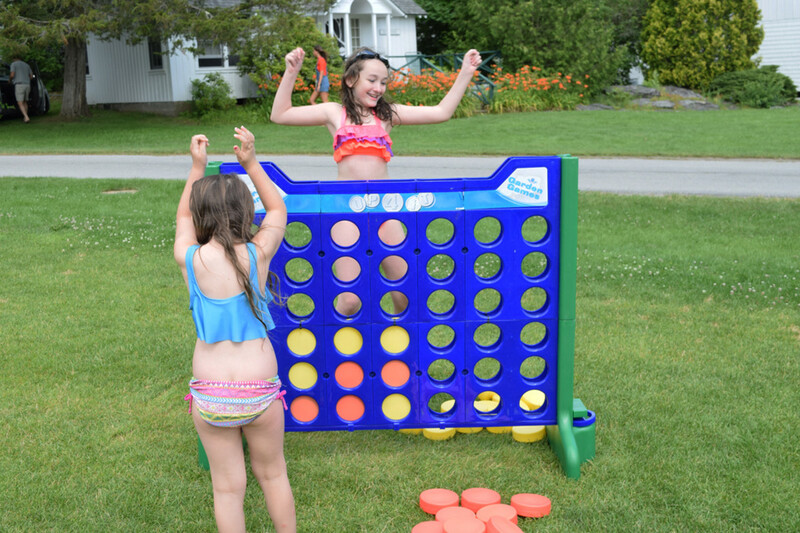 My kids were particularly fond of the lawn games (the giant Connect Four was a huge hit). There is also a daily Kids Camp, available for different age groups from mid-June through Labor Day. Kids partake in a variety of fun activities from arts and crafts and treasure hunts to boating, swimming, hiking and more. The camp runs from 9:30 am-1:30 pm (and also from 5:00 pm -9:00 pm, if mom and dad want to sneak in a date night or two while you’re away). Each morning the resort puts out the Basin Harbor Breeze, which is like a little newsletter of sorts. It lets you know what kind of weather to expect, welcomes guests and gives you a rundown of all of the activities that will be happening throughout the day. With all of that action a little downtime is nice too. 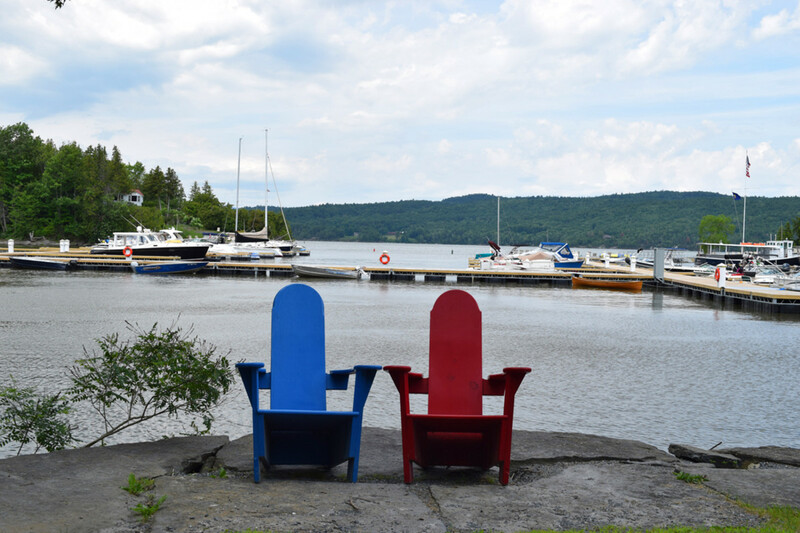 Bright, colorful Adirondack chairs are sprinkled all over the property, constantly inviting you to sit down and drink in the gorgeous lake and mountain views. Another bonus is that the resort never feels crowded. 200 people were in for a wedding while we were there and we never would have realized it if we hadn&apos;t struck up a conversation with one of the staff. We had a truly wonderful time at Basin Harbor. It&apos;s no surprise that the two other families that were checking out at the same time were already reserving their space for next summer’s family vacation. This is one of those places you’ll never want to leave. Basin Harbor hosted us for our stay, but all opinions are my own.